We need your help! We need your stories, reads, articles, claps, responses, and shares. A quick explanation of Liberation Day -> it’s a few things: it's this Medium publication, it’s potentially an upcoming book of mine, and it’s a hypothetical day in the future when the United States returns to government that is Constitutionally limited. This publication, called Liberation Day, is the broadest thing associated with Liberation Day. 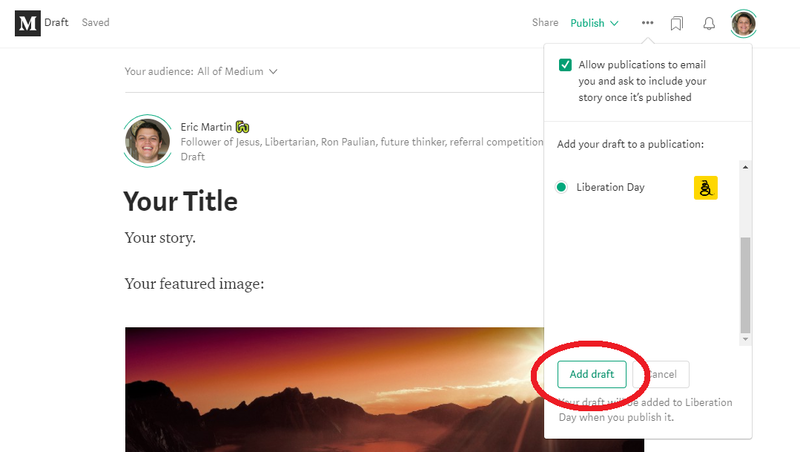 We’re trying to create a publication that brings together all of the libertarian minds on Medium and around the world, with a full spectrum of people including agorists, voluntaryists, anarcho-capitalists, left and right-leaning libertarians, etc. 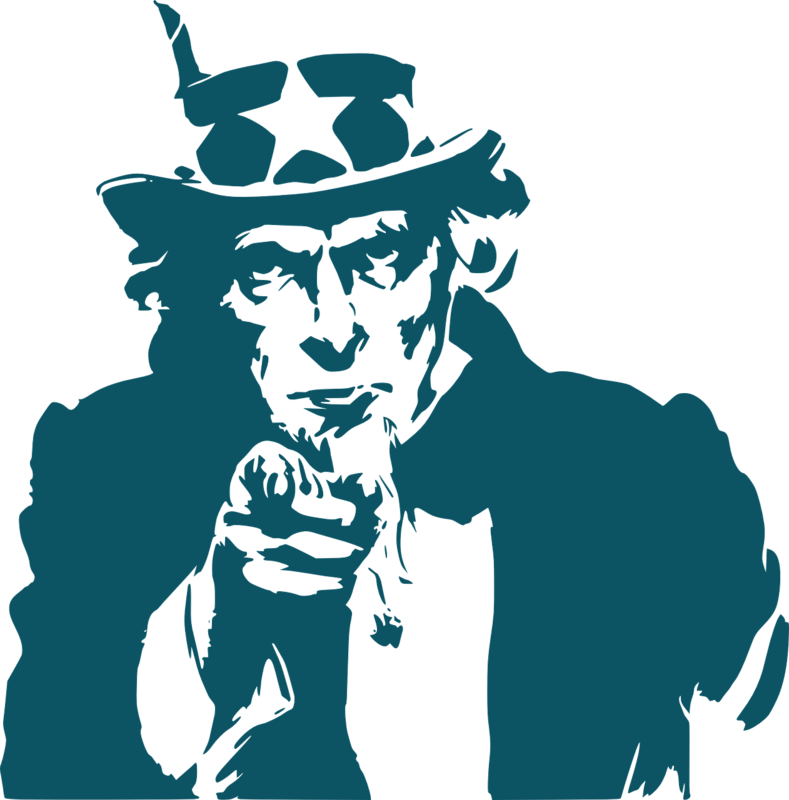 Please submit any of your previously published or new liberty-related articles to the Liberation Day publication. I will show you how to submit an article in a little while, starting at the next title text below here. The goal of Liberation Day is to bring together everyone who believes that there needs to be less government, from all around the world. We believe that less government is better. We believe that taxes are too high, government is invading our privacy too much, through war too many people are dying, government is allowing some corporations to get too powerful, and government is telling us what to do too often. If any of these items resonate, you have a liberty mindset and we’d love for you to write for us! Even if those things didn’t resonate with you, you still might have a liberty mindset. Maybe you were annoyed how long you had to wait in line to get your driver’s license renewed! It doesn’t matter. Any critique of government is welcome here! Don’t worry, if you submit a story and for some reason we don’t like it, we don’t have to publish it. There are tons of liberty-oriented websites and blogs on the internet, but most of them are very small, so we want them all to join forces under one roof: Liberation Day! The idea is that together we can drive a lot more traffic to the cause of liberty. We launched on November 4th, 2017 with just one article. We started out really small but we are growing extremely quickly. The goal and hope is that we become the largest online destination for those who love liberty or hate government. Or maybe you fall into both of those categories. As we become the biggest we will attract the biggest and best voices, and with that we’ll attract new eyes to the liberty movement. Our hope is for more liberty and less government, especially in the United States, but also all around the world. Liberation Day is a movement, and I’m asking you, whoever you are, from all over the world, to join us! We’re focused on English right now, but I’m open to other languages if I can get them translated. Thank you! That’s it! At this point your story is sitting with the Liberation Day editors for review. If and when we accept it, your story will become a part of our publication. We may add a link to the bottom of your article, such as the link: What is Liberation Day? Also, we may change your featured image, add a featured image, or change the focus of a featured image. We rarely make other edits, but if we do they are probably for grammar, spelling, or formatting, and we’ll let you know about them. If you don’t like our edits, you can change them, and you or the editors at Liberation Day can remove your story from the publication at any time. If you have any questions or issues, you can send me a private note by highlighting text on this story (there’s a mini tutorial on how to send private notes near the bottom of this story) or email me at liberationdaymovement@gmail.com Thank you! If you don’t want me to know your email address, you can simply send me a private note by highlighting the text within one title or paragraph anywhere on this story. Just write something like “Submission” and a link to your story. We’ll then take a look, and if we want to accept it we’ll make you an author or directly request your story. Once we’ve published one of your stories, you can submit your own stories to us based on the first process described near the top of this story. If you don’t mind me seeing your email address, feel free to submit your story by emailing me at liberationdaymovement@gmail.com with a link to your story. If you have any questions or issues, feel free to email me or leave a private note on this article. Thanks! Thanks a million you guys and gals! Liberation Day cannot be great without people such as you. For liberty! Just one click of the 👏 helps other people find this article. Thanks! Bringing the revolution to you.